RALEIGH, NC (November 20, 2018) – Vector Security® has awarded one year of free basic monitoring services to local breast cancer survivor, Cathy Camaan, as nominated by Susan G. Komen® North Carolina Triangle to the Coast, as part of October’s Breast Cancer Awareness Month activities. Camaan is a two-time breast cancer survivor. 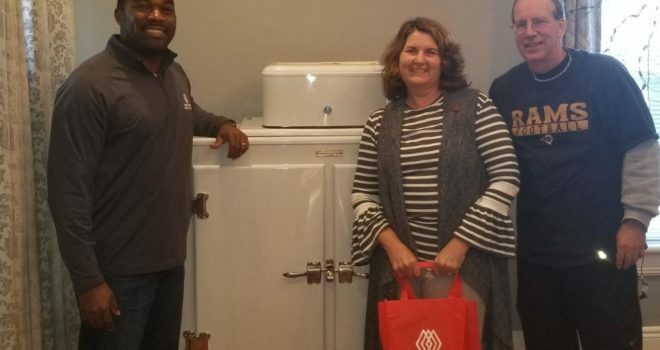 Vector Security, the provider of intelligent mobile security and automation solutions for homes and businesses, has partnered with Susan G. Komen North Carolina Triangle to the Coast (Komen NCTC) in support of the “Securing the Cure” program for breast cancer research and education. From video and doorbell cameras, to lights, locks, thermostats and voice control, Vector Security provides convenient security and home automation mobile solutions. Peggy Morrell, a 41-year survivor of breast cancer, was awarded a runner up prize of four tickets to a Carolina Hurricanes® hockey game. Vector Security is the official security partner of the Carolina Hurricanes. “We are thankful to have partners like Vector Security, who enable us to work toward achieving our Bold Goal of reducing breast cancer mortality by 50% in the U.S. by 2026,” added Kohl. 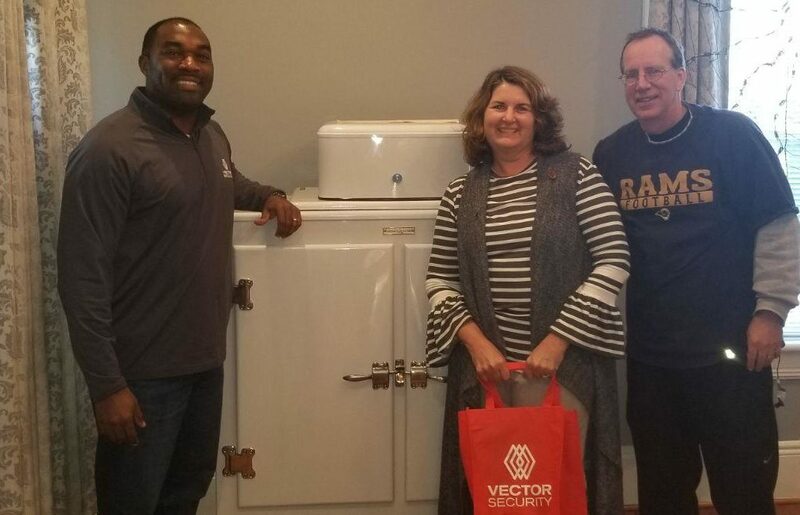 As part of the year-long partnership, Vector Security is also donating $100 to Komen NCTC for each security system sold and installed by the Raleigh Branch mentioning promo code “SGK” during 2018. Komen North Carolina Triangle to the Coast (NCTC) is working to better the lives of those facing breast cancer in the local community. Through events like the Komen Triangle Race for the Cure® and Komen Wilmington Race for the Cure®, Komen NCTC has invested over $13 million in community breast health programs in its 29-county service area and has helped contribute to the more than $988 million invested globally in research. For more information, call (919) 493-2873 or visit komennctc.org. For more than 40 years, Vector Security, Inc. (www.vectorsecurity.com) has been a premier provider of intelligent security solutions tailored to the needs of the customer. Headquartered in Pittsburgh, the company offers a full suite of electronic security services for residential, business and multi-site customers across North America and the Caribbean through a network of branches including Raleigh, NC and authorized dealers. Vector Security is also the official security partner of the Carolina Hurricanes®. Vector Security is a sister company of the Philadelphia Contributionship, a mutual insurance company founded in 1752, and currently provides cost-effective, technology-based security solutions to nearly 300,000 homes and businesses.